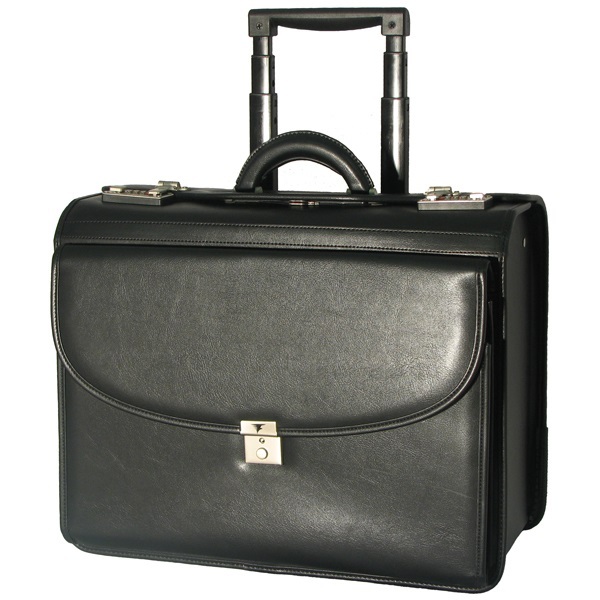 Mobile business travel cabin hand luggage suitable for your laptop. 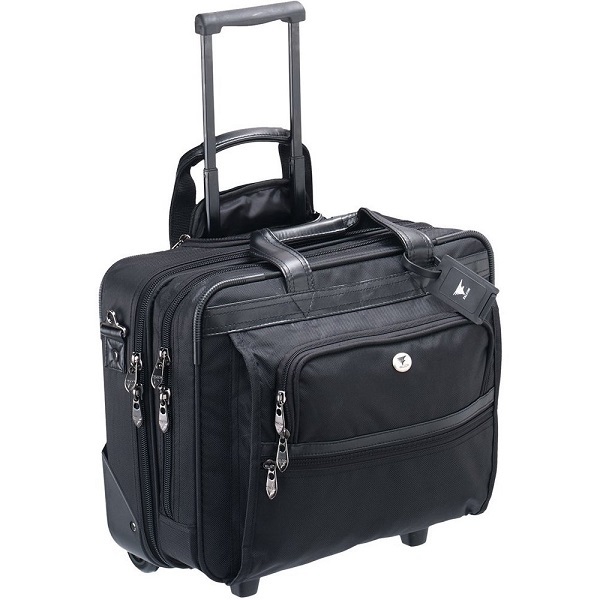 Made from heavy duty DuraFibre Nylon with retractable trolley handle in concealed zip compartment and recessed wheels. Main compartment has a removable padded envelope for up to 15.4 inch notebook/laptop. Other features include a rear compartment gusseted for filing and front compartment with comprehensive organiser section. Lockable main compartments with comfortable twin handles and detachable shoulder strap. A pilot case made of genuine leather and built to last. Large capacity pilot cases designed to conform with airline cabin luggage limits. Zip down concertina section with lockable clasp. Twin side pockets and large internal compartment. GREAT VALUE. No more carrying heavy bags! 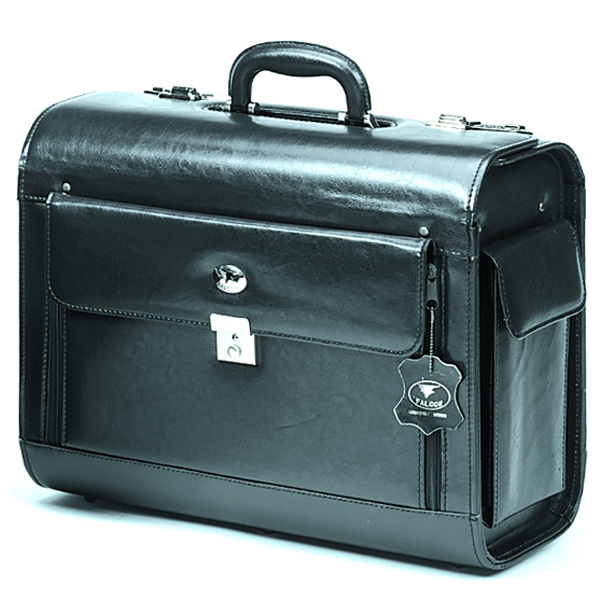 Pilot case made from quality leather look DuraNappa with retractable trolley handle (98 cm) and roller blade wheels. 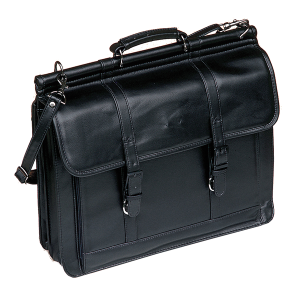 Features a lockable front pocket with large file and organiser section. Large internal section with filing separator and a 17 inch padded laptop compartment.